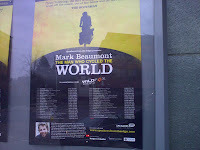 Last night I went to see The Man Who Cycled the World, in Camberley, Surrey. 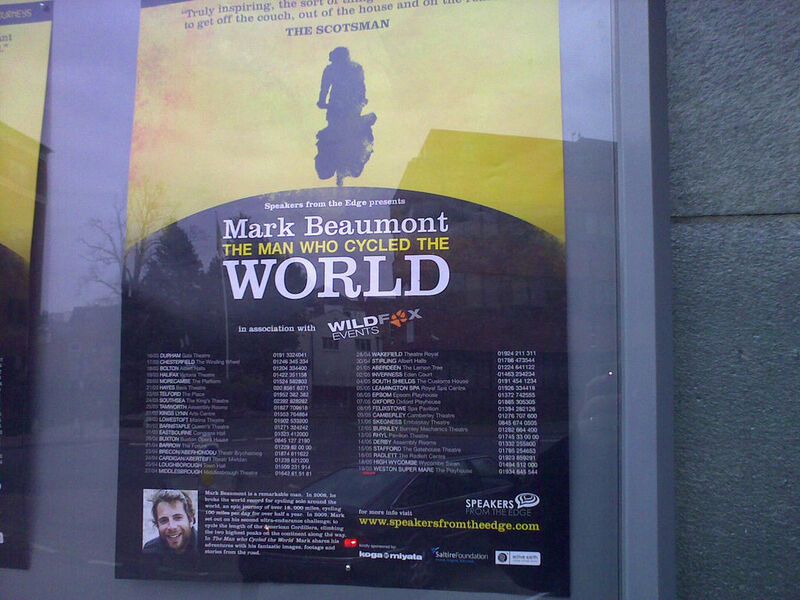 The Man Who Cycled the World is the UK tour from Mark Beaumont, a cyclist that broke the Guinness World Record for circumnavigating the globe by bicycle completing it in 194 days and 17 hours (breaking the previous record by 81 days). Mark also recently cycled the Americas, covering 13,000 miles from Alaska to Terra del Fuego, only stopping to climb the highest mountains in North and South America. Ever since watching the documentary of the Americas trip, I've been fascinating by him and what he has achieved. I've since bought his book on cycling the world and watched the four part documentary. Cycling 100 miles in a day is an achievement, but to do that every day for 6 months in every weather condition imaginable and on every roa d surface sometimes with little food and water is incredible. His talk was fascinating as he explained his background, and his reason for taking on the challenges he did. There were photos and video throughout, some of which I'd not seen and he went into detail about how he had to become director, cameraman and star of his own documentaries as he was cycling alone for most of his journeys. He also explained how he planned to row the North Atlantic Ocean in 2009, only to have the boat sunk on a training ride. I would recommend this show to anyone, not just those interested in cycling. He was selling copies of his book and I was cheeky and got him to sign my copy.